Outlaw T-shirt design for Dez Fafara’s metal band Devil Driver by Yeti Bite. Dez Fafara is mostly known for his 90’s nu-metal band Coal Chamber. 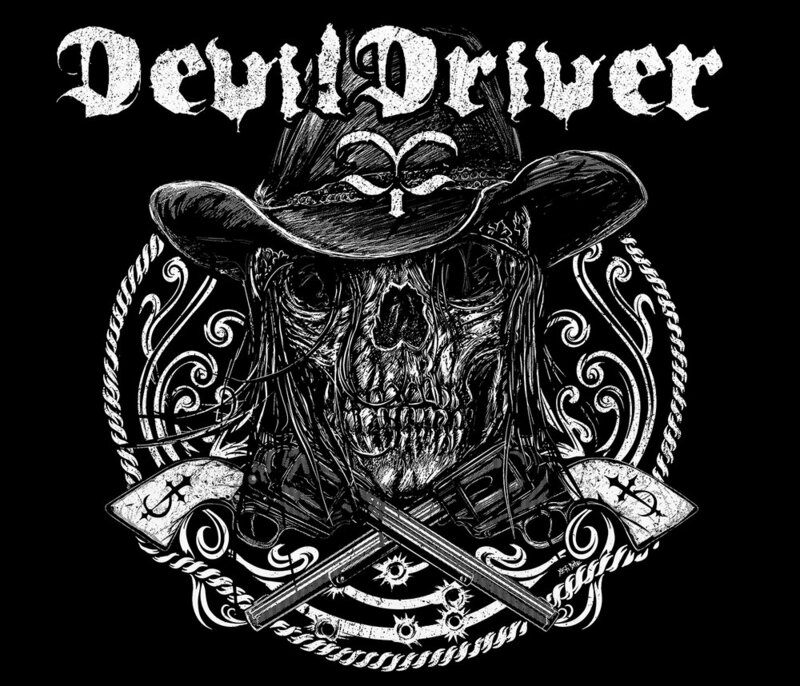 The metal band Devil Driver was in need of a single color t-shirt design to take on their latest tour in support of the bands 2018 album "Outlaws 'Til The End". This was a concept provided by the band. Fun illustration to make and a tight deadline at that!